Your roof’s gutters are an important and essential part of your home. As such, it is necessary that you understand how to properly care for them in order to maximize their effects. It is important to know the best ways to maintain and clean gutters. Texas is known for its constantly fluctuating weather; one day it’s clear and sunny, and the next day it’s flooded with heavy rain. Your gutters are designed to help manage and direct the flow of water from the slopes of your roof to the desired areas on the ground. Ideally, your gutters should also aid in preventing water from leaking into the foundation of your home or from causing surrounding soil to wash away. Becoming familiar with how your gutters function and how to maintain them is a crucial part of home ownership. But before you grab the ladder and try to tackle the gutters yourself, make sure you consult a professional to see if expert help is needed. 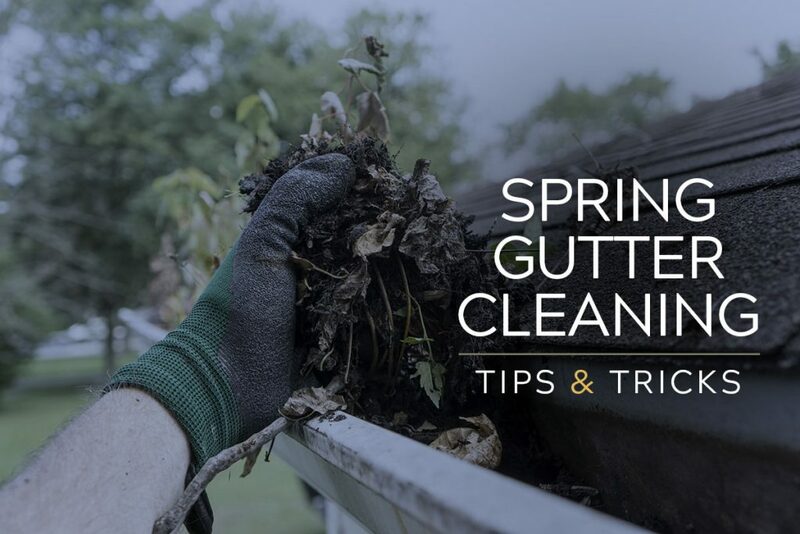 When it comes to ensuring you have clean gutters, you should always start by removing all leaves, twigs and other debris from the system. If your gutters go ignored for too long, they can easily become clogged and lose their purpose. For houses that often receive large amounts of leaves in their gutters, installing a gutter filter system might be a useful idea. This system would allow water to run through the gutters with ease, while trapping the debris that could cause them to clog. Connection points and downspouts are the most common areas for blockage, so it is important to show these spaces special attention when cleaning. Clean gutters mean clear gutters, so you need to make sure there is nothing stopping them up. Wearing gloves and scooping the debris out of the gutters is an effective method of removal for the open and easily accessible areas. However, a narrow scooper may be needed if you need to reach deeper into the gutters in hard-to-reach places. Once you feel like your gutters have been properly cleared, you can test your work by inserting a hose into the top of the gutters and ensuring the water easily flows out the other end. You may also want to check the shingles around the roof where the gutter connects. If your gutters overflowed from blockage, this may cause the surrounding roof area to become warped or damaged. Keeping your gutters clean is essential in maintaining a healthy roof system, so contact us for professional assistance if your gutters or roof need replacement or repairs. It’s essential that the downspouts of your gutter system are directed toward the appropriate place. Downspouts that are joined to an underground pipe allow the draining water to flow from the roof, down the downspout and out onto the ground far from the home. Other downspouts simply pour out water onto your ground or driveway. If the latter is what your gutter system looks like, it’s imperative that these deposit areas are at least 5 feet from the foundation. Sudden downfalls of rain can cause stagnant pools of water to form close to your home, so the further away the downspout is from the home’s foundation, the better. While the do-it-yourself attitude is applauded, in some cases it can only get you so far. If your home is in need of repairs or replacements, it is important that you contact Norwest Roofing for professional assistance. 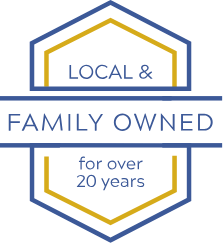 We offer our clients expert services at affordable rates that they love! To get the job done right the first time, contact us today.